Accenture Interactive has launched a studio in London that comprises Fjord along with space for all key parts of the larger company's business. The new Farringdon studio is in the same building as Karmarama which already occupies one of the other floors. 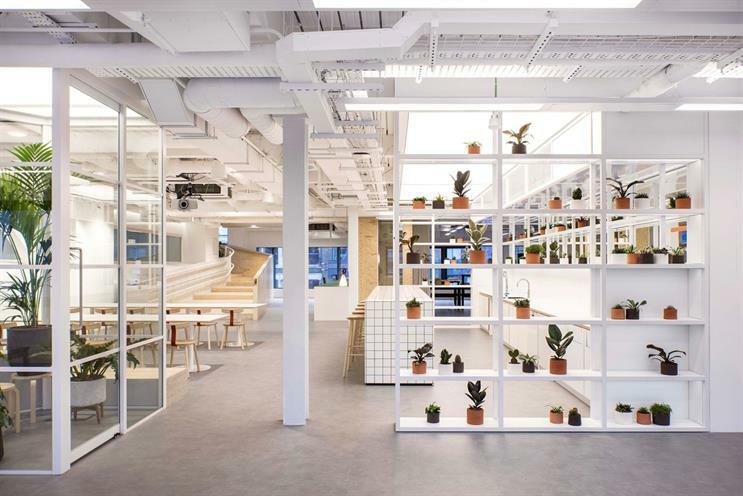 The space, located at 30 Farringdon Road, will be home to up to 100 employees across Accenture Interactive and has been designed with "elegant simplicity" in mind. Fjord and Accenture Interactive working together mutually beneficial since the service design company was acquired in 2013. In an interview with Campaign last year, Walsh said that the agency was getting more "very senior clients" who give the agency big problems to solve through design. The studio is meant to act as a blank canvas and fully flexible work environment. The functional design gives teams the ability to create effective work-spaces to suit each of the projects they are working on. It also allows teams to create on-site alongside clients in a dedicated client area. "We constantly encourage, and take proactive steps, to allow every part of Accenture Interactive to collaborate," Joy Bhattacharya, head of Accenture Interactive for UK and Ireland, said. "Doing so physically is another step in this journey as we create and deliver the greatest customer experiences on the planet." Accenture Interactive claims this approach has recently helped them win Maserati.